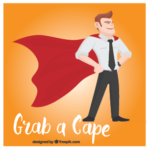 A true superhero will step-up in a time of need, and now is the time to grab your cape and be a Superhero for patients with special healthcare needs and traumatic injuries. This month, The Children’s Center Rehabilitation Hospital is inviting members of the community to become “superheroes” for pediatric patients. During the week of April 24th, the Hospital is hosting a superhero week, filled with fun patient activities. “We think our patients are superheroes and we’re asking the community to share in their courage, hope and selflessness,” said Melissa Richey, Director of Communications and Marketing at The Children’s Center Rehabilitation Hospital. In honor of National Superhero Day on Friday, April 28th, the Hospital hopes the community will unleash its inner superhero by purchasing much-needed items for the day-to-day services provided to the patients. You can purchase any of these items from the basic needs list on Amazon. The Children’s Center Rehabilitation Hospital is a private, non-profit hospital and we can’t do what we do without you, so we want to see your superhero photos! The Hospital is asking members of the community to grab their favorite capes and share it with the Hospital on social media. Step one: Grab your favorite superhero cape. It can be anything, from your superman attire to your bedroom blanket. Step two: Say cheese! 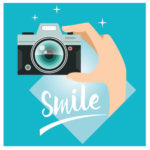 Show off those pearly whites in a picture of you in your cape. Step three: Share the photo with The Children’s Center Rehabilitation Hospital on social media. 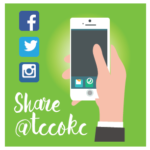 You can find us on Facebook at: Facebook.com/tccokc, Twitter at: @tccokc, and Instagram at: @tccokc. Help us make Superhero Week a success!